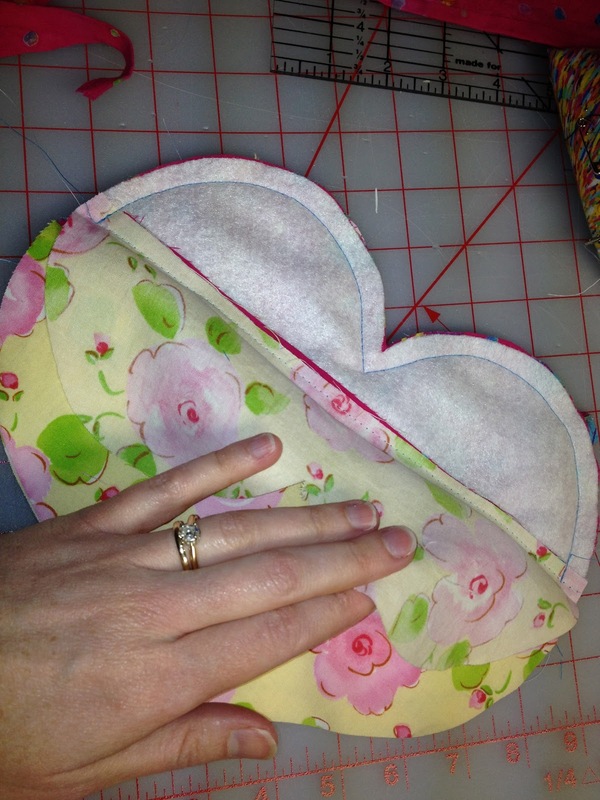 Finding balance between sewing and homemaking. I have been fascinated with drawstring bags lately. They are so practical and useful. I often have little projects that I take with me but they get thrown into a larger bag, yarns get tangled, threads become confused, and needles abound poking me every chance they get. I decided to make a drawstring bag to contain each of my projects. When I am ready to go, I can easily grab a bag or two and take it with me. Made in all different sizes and in fancy fabrics, they can be useful for all occasions. A friend of mine whipped up some gorgeous hand stitched silk bags perfect for a night at the opera. Add a few straps and the simple drawstring bag becomes a useful backpack. Add a grommet and the bag becomes a yarn bag to keep your yarn from rolling away. Made tiny, they are treat bags for kids birthday parties or gift bags for diamonds and pearls (hint, hint). I have decided to do a series of posts on drawstring bags. How to make them, how to use them, how to adapt them for every purpose. It's going to be a fun journey. Easy enough for beginners, useful enough for seasoned seamsters. Sew Mama Sew is having a contest and I thought it was about time I put together my very first tutorial. The challenge is writing it down and photographing, not necessarily the project itself. This is for my sweet 11 year old that loves pink, loves people, and loves bags of all shapes and sizes. Handle hardware - can use a d-ring, swivel clip, etc. Step 1 - Make a pattern. Just like in grade school, cut out a heart shape from a folded sheet of paper. Mine is roughly 10" across the widest part. Try not to make the point too pointy or it will be difficult to turn. Draw a line across the widest part of your heart. 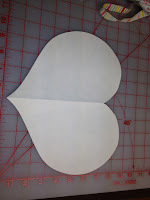 Using tracing paper, trace the bottom half of the heart. Add 1/2" seam allowance to top edge. Trace the top half of your heart adding a 1/2" seam to the bottom edge. 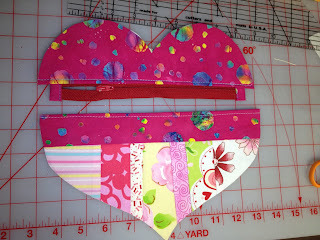 Cut out all three pattern pieces (full heart and 2 front pieces) from lining and interlining. 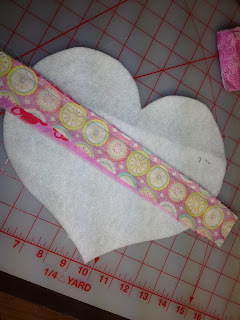 Starting on your full heart interlining piece, lay a strip across the center right side up. Add another strip right side down on top lining up edges. Stitch 1/4" seam. Fold open and press. 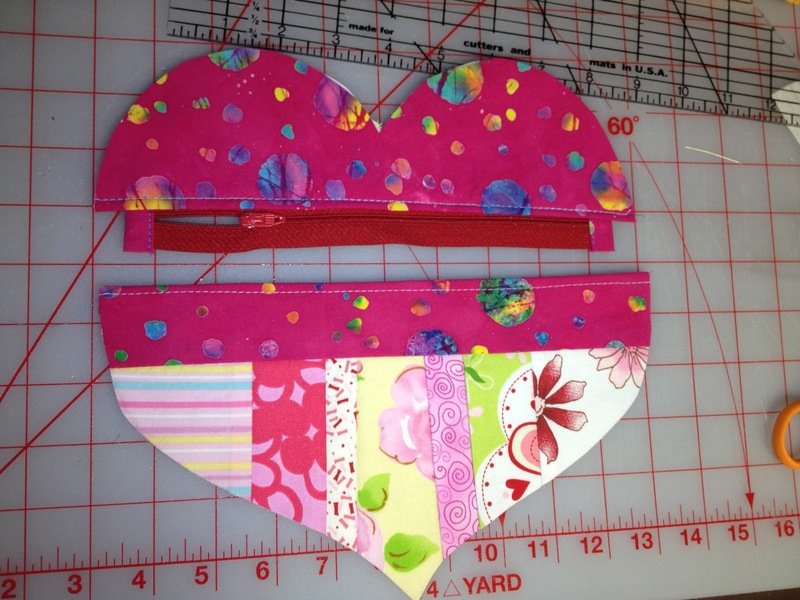 Continue adding strips until the heart is covered. Cut one top heart piece from scrap of fabric. Place it wrong side down on top of the interlining piece. Stitch 5/8" along straight edge. 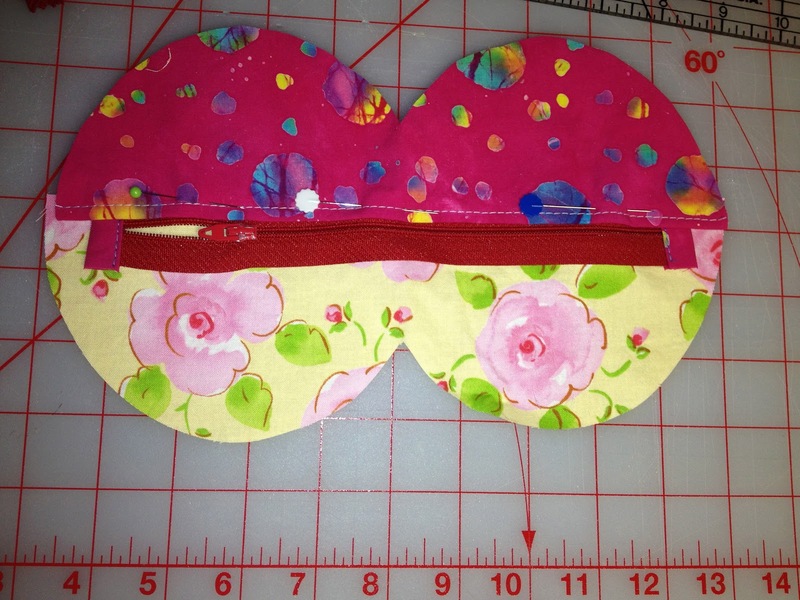 Trim interlining from seam allowance. Fold over 1/2" and press. 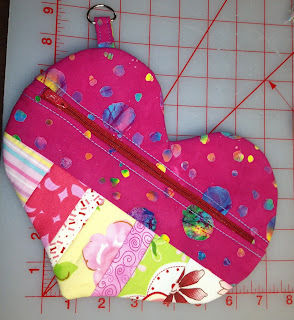 Cut zipper so that it is 1" shorter than widest part of heart. Cut a strip of fabric 2" wide. Fold in half lengthwise and press. Fold raw edges into center. Press in half and use for binding. Bind both edges of zipper. On bottom piece of interlining, draw a line 1 1/2" from straight edge. Add cotton strips like back but only go above the line you drew by 1/4". Cut a strip of cotton 2" x the width of the heart. 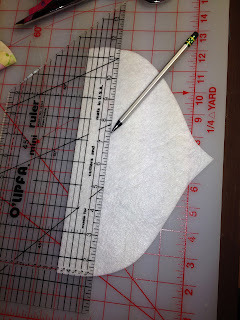 Place it along the 1 1/2" line (redraw on cotton string piecing if necessary) with raw edge even with line. Stitch 1/4" seam. Fold up and press. Stitch 5/8" seam along top edge. 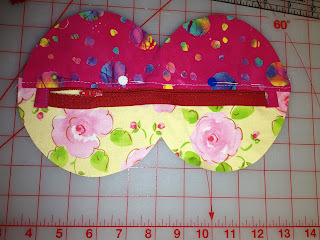 Trim interlining from seam allowance just as for top piece. Fold over 1/2" and press. Place top lining piece right side up on table. Place zipper even with raw edge. (Wondertape is great here if you have some.) 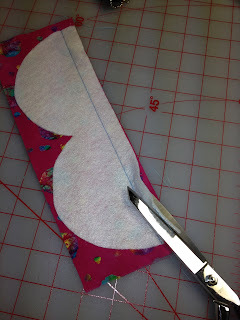 Place outside top heart on top of zipper tape, even with teeth. Pin in place carefully making sure to catch all layers. Stitch on top of previous stitching line close to teeth. Repeat for bottom. Stitched outside leaving lining free. Be sure to open zipper! Add a strap or handle before sewing everything together. Place outside pieces right sides together. Sew top half just to zipper stitching line. Sew bottom half just to zipper stitching line. Stitch lining pieces right sides together just as for outside only leave a hole for turning. 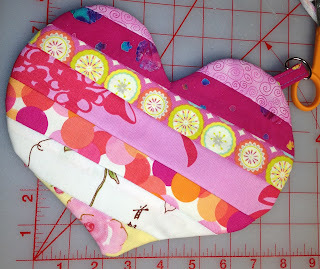 Clip corners, points, and V of heart, making sure you don't clip your stitching (ask me how I know!). Turn through the hole in the lining. Stitch by machine or by hand the hole in the lining. Press and Love! I am a list maker. I like having things spelled out and the feeling of checking things off my list. I am also a planner/diagrammer. I can make purses, totes, wallets, and such by sketching out what I want on paper and adding measurements. I write out the goals of our homeschool every year and then see how we did at the end of the school year. Once again, checking things off my list. Planning takes work, but accomplishing the goal takes even more work. I like to let go and let God but sometimes that is misconstrued as laziness. I don't have to do anything because God can do all things. This is where I am getting hung up. I planted the veggies, therefore the harvest is in God's hands. I end up with plants like the one at left and then wonder why my harvest is so poor. Paul's missionary journey was plagued with hard work, persecution, and heartache. His service to God, his obedience to the calling, led to his great harvest. I cannot sit back and expect a harvest with no effort. So this year, I am going to work harder. I will tend to my garden this year rather than sit back and hope for the best. I long to have a better yard, beautiful flowers, a sanctuary, but am I willing to do more than look at the drawings on the paper? There are times to let go and let God, and there are times when we need to get into the trenches and do some physical work. God is calling me to work for the beauty I desire this year. He is calling me to follow His plans, but I must get off the couch. He is calling me to greater things, but I must be obedient in a new way. It is time to head into the trenches. I love to sew but the elusive perfect pair of pants is still elusive. This week's challenge is to make myself some new pants. I tend to shy away from that task because they never seem to fit right. I read all the alterations books, look at all the "wrinkle smiles" and try to determine what is the problem with my crotch. My other problem is the back gap. No matter the pants, the brand, the pattern, I have a gap in the back. It is not a waist size issue because they fit snug in the front. I have so many pair of passable muslins. From an untrained seamstress eye, the pants fit great. Little do they know that I wear my shirts untucked to cover my ugly waistbands and oddly gapping back waist. Most would look at me and see a slim built woman that would be easy to fit. Surprisingly, I am curvy by definition. There is a 10" difference between my waist and hip measurement even though I wear a size 4. My problem being that my torso is very long so the distance between my waist and hip is also long. I write this post to tell others you are not alone. No matter your size, you will have fit issues. We are all brainwashed into thinking that Ready To Wear has a size to fit us all. They change the sizes constantly so that a 4 today may be a 6 tomorrow. The cut is changed almost as frequently so that pair of Gap jeans that you have worn out, are just a distant memory because they no longer make that style. Fads come and go and pant legs get fuller and tighter. Waistlines rise and lower with the changing of the tides. If you are lucky enough to find a pair of jeans that fit, buy 10 pair and make sure you never age or change weight. When I get my perfect pants finally finished, I will post a picture. I've become crazy about knitting socks. My first attempt ended badly. So bad in fact that I only made one and left it lying on the back stairs so long a moth ate a hole in it. The toe was oddly rectangular and the foot length was too short. My second attempt, which I call my first pair because really, it's the only pair I've made, came out much better. I enjoy wearing them. I ripped out that first sock 3 times before I got it right. That is what I get for using a free pattern off the internet. Turns out it was missing a row. With one pair under my belt, I decided I needed a bigger challenge. Looking through my new sock book, I settled on these because they fit the supplies that I have. 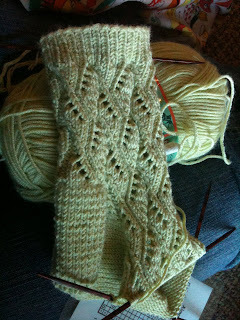 Additionally, they are just pretty and look very impressive for a beginning knitter. Socks are very logical once you figure out the basics. They are all generally constructed the same way with all the same sections. They are small and easy to transport. I spend about 4-5 hours a week, sitting and waiting for my girls. This is just the project. I could read but then I wouldn't get to chat with my other mom friends. Given the choice I would have a portable sewing studio, but until that purse Hermione had in Harry Potter becomes a reality, I will have to stick to knitting socks. Unfortunately, the bottom of my bag had begun to look like a game of pick up sticks. 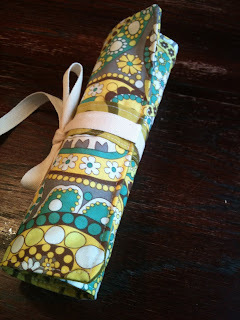 It was time to make a knitting roll. Using the scraps laying on my cutting table, I whipped this up in under an hour. I made it 8x12 but my next version will be a touch bigger because some of my needles don't fit. Very simple sewing and perhaps someday, I will make a tutorial. For dinner tonight: cranberry orange pot roast. A family favorite. Wow, it has been a long, long time since I have posted. I've been busy this summer with sewing camp, a wedding at the beach, VBS, and everything else that summer brings. It has been an amazing summer full of good times and great friends. One special friend has been battling cancer this summer. She has fought courageously and with tremendous faith. Her battle is nearly won and we are all praying for a full recovery and many more years to share in her sweet spirit. Throughout her battle she has "kept it real". She honestly and openly voiced the uglier side of cancer treatment. It made it easier to be a friend, knowing what she needed and what trials she was facing day to day. If nothing else, I knew what specific prayers she needed. As I talked to my cousin this morning, I realized that moms aren't very good at keeping it real. We want to be super heroes and have it all together. In an earlier conversation, she had mentioned what a challenge it was washing her 4 year old daughter's hair because it was so thick and she screamed and my cousin got frustrated. Today she said "I don't want you to think I'm always frustrated with my daughter over her hair." I laughed and told her that it's part of being a mom. Children can be frustrating. Perhaps that's our problem though. On the outside, in the outside world, we have it all together. We never yell at our kids. We are always calm and we never get outwardly frustrated because people are watching and they will find out our dirty little secret...we are not perfect mothers. In the comfort and security of our home, when we let our guards down, we allow ourselves all the ugly, yet real, emotions and we hate ourselves for it. It confirms our worst fears, we are not super heroes. I try to be the voice of honesty when talking to my friends with young kids. I tell them my horror stories of my oldest that screamed from the moment she was born until she was 1. There were days I wanted to run away. There were days I wanted to sell her to the gypsies. My house was a mess, I was a mess, and there was no pretending I had it all together. There have been days I have snapped at my kids, not often but on occasion. I use it as a life lesson. I sincerely apologize and tell them that I am tired, overwhelmed, frustrated, whichever emotion fits the scenario. I tell them that I should not have gotten angry with them or snapped at them. In my weakness, I have humbly shown them that I am still a work in progress. In recent years this has born compassion. They sense when I am tired or sick and rather than pushing my buttons, they offer to help. Moms, let's do a better job of keeping it real. Let your family and friends know when you are struggling so they can help you and pray for you. Don't put on a pretty smile and clean clothes when your husband comes home and you have had the worst day imaginable. God gave us a spouse to help us and love us. He cannot help us if he does not know we need help. Take some time out of your day just for you. A time to sort out your thoughts, dreams, and maybe take a shower. Raising kids is the hardest job you will ever love. God knows we are not perfect so stop pretending that you are and accept the help you desperately need.